Back in 2013, I was a junior in college and that same year I took a class trip down south to learn about the happenings of the legendary Robert Johnson, civil rights, music, food and culture. 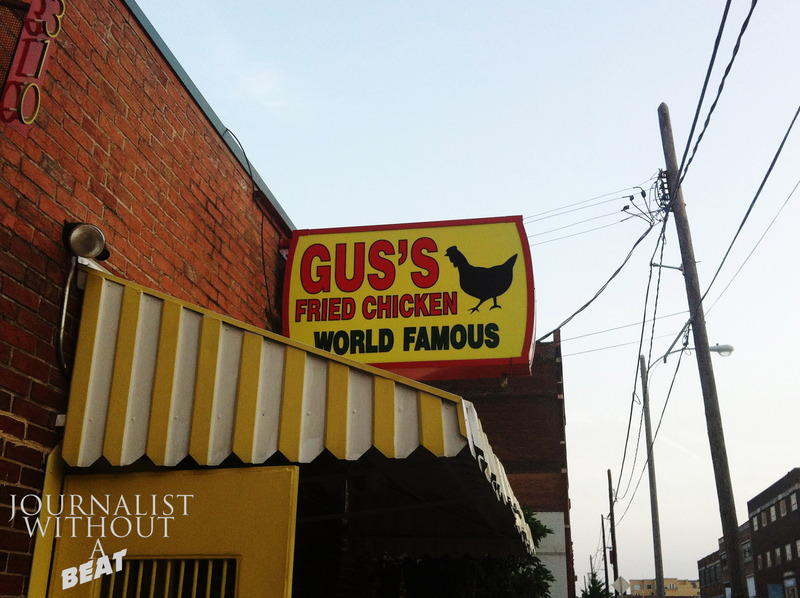 While in Memphis, my professor told my classmates and I about this “World Famous” Gus’s Fried Chicken. At first, I was a bit skeptical because every time an establishment puts “World Famous” in their name, it turns out to be a huge letdown. I should have known something was up, when I saw that the line was out the door. This had to be some of the best tasting fried chicken I have ever had. The whole class agreed, Gus’s was something special. The only thing I didn’t like at the time was that Gus’s was exclusive to Memphis, TN. When I came back home to Chicago, I told my family and friends about this fried chicken that had this deep dark red crust that was packed with flavor. They all said they had to see (and taste) this “red chicken” to believe it. 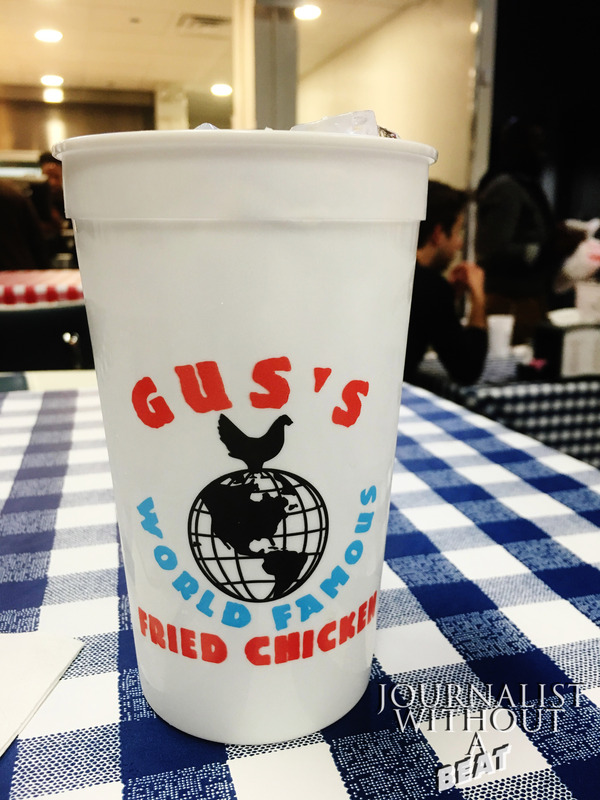 How time flies – it was announced in April that Gus’s World Famous Fried Chicken Franchise would be making a move to Chicago. This past Monday, November 2, saw the official grand opening located in Fulton Market district. Chicago is now 1 of 12 states that has a Gus’s franchise. With this news, I headed to Fulton Market, because I had to know if this Chicago edition of Gus’s would be authentic to the original. When entering the establishment, right away I could see the Memphis influence. From the blue and red checkered tablecloths to the large red trays served to people who had large orders – Chicago’s Gus’s is heading in the right direction. With keeping almost everything authentic to the original, there are some welcomed modern additions, such as the establishment is more evenly lit in light unlike the original location. Also featured inside is a full bar. I noticed a nice amount of people enjoying their time at the bar while they waited for their order. For it being a Sunday, Gus’s was packed. Within minutes of arriving, every table would become filled. Do not expect a lot of variety on the menu, it’s called “Gus’s World Famous Fried Chicken” for a reason, and that’s exactly what you get. There is no other recipe option like “mild’ or “original”, only Hot and Spicy. Prices are reasonable. $9.75 gets you a 2 piece white (breast and wing), and if you’re feeling hungry, $12.90 gets you a 3 piece white (two breasts, one wing), both served with two sides of your choice. It was now time to order. I would like to note that if you are a person who does not like waiting for your meal, I suggest placing an order to pick up. This is NOT a fast food restaurant. At Gus’s, the food is made to order, meaning when it gets to you, you can rest assure your meal is fresh and hot. I ordered my meal at 5:35 pm.While waiting I could hear Tighten Up by Archie Bell and The Drells being played- nice attention to southern detail. My meal arrived at 6:07 pm, and the wait was well worth it. It was just as I remembered. The famous red crust was there in all of its glory. The heat packed inside the chicken will make it a little difficult tear it apart. Looking around, I seen I wasn’t the only one feeling the heat. That would become an afterthought when tasting the chicken. The chicken is indeed spicy, but not as spicy as if you need a gallon of milk beside you. The spice might not hit you at first bite, but it will in due time. I found the wing to be spicier than the breast. Every piece was very tender and juicy. This tasted exactly like it came right out of the original Gus’s kitchen in Memphis. The meal was even served on a foam plate and you got a keepsake cup like the original. I was satisfied. 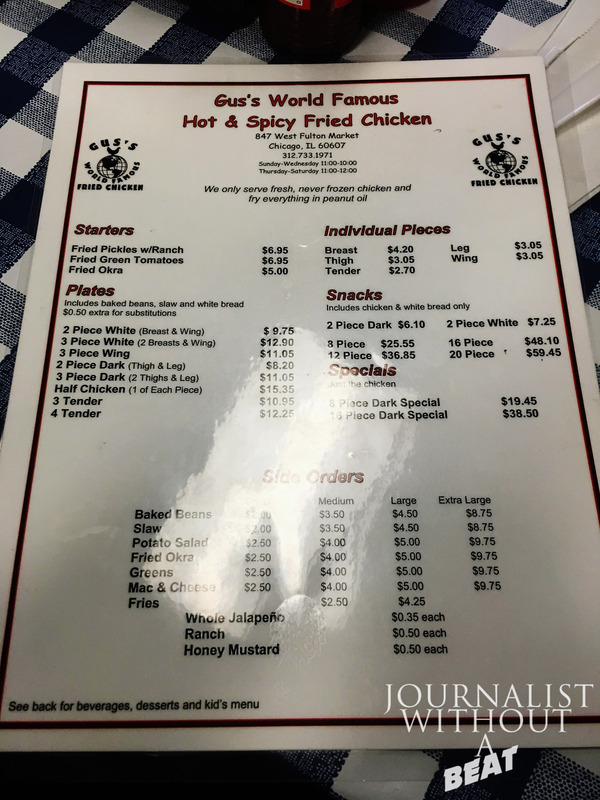 My overall experience at Chicago’s Gus’s World Famous Fried Chicken was a pleasant one. The manager and staff were friendly and all around great, the atmosphere had that southern flair, and of course the food is one of a kind. I highly recommend checking out Gus’s World Famous Fried Chicken located at 847 West Fulton Market. If you are accustomed to average chicken restaurants, it’s time for you to experience a new kind of fried chicken. You will not be disappointed. 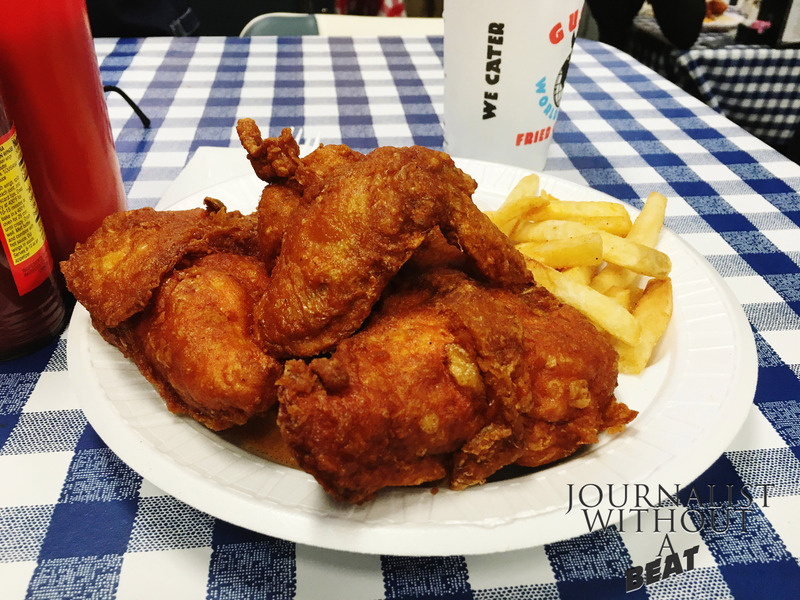 Like their signature states, “If you haven’t eaten Gus’s, you haven’t eaten fried chicken“. Tell them Journalist Without A Beat sent you.